One off Referral Bonus: RM50 for refferer & RM50 for referee. (Total RM100 – bring along another person & register together and straightaway get RM100 off altogether! This PROMOTION is valid UNTIL END OCTOBER 2017. So, Hurry! 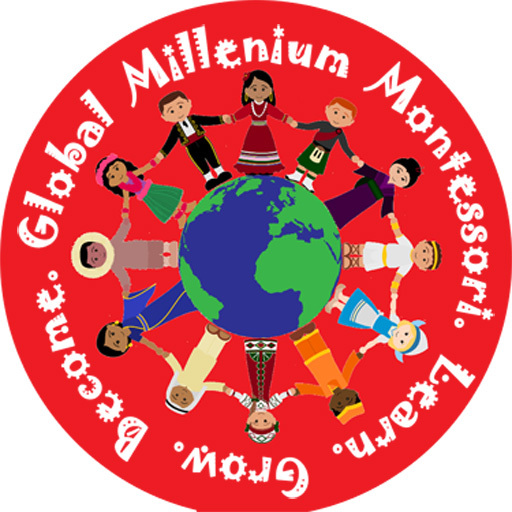 GMM Kindergarten is now open for 2019 registration. Hurry and claim your place as we have very limited places. 4. or complete the form below & we will get back to you. One off Referral Bonus: RM50 for refferer & RM50 for referee. (Total RM100 – bring alsong another person & register together and straightaway get RM100 off altogether! PROMOSI ini akan berakhir pada 30 NOVEMBER 2016. Cepat! Daftar Segera. Tempat terhad. Daftarlah cepat. Jangan ketinggalan peluang untuk menjamin masa depan anak anda. To avoid disappointment, please register your child at the earliest opportunity. True to our Mission Statement, we provide a comprehensive and wholesome preschool curriculum which is unrivaled in its effectiveness to bring out the best in your child. We work tirelessly to Unleash The Genius Within Your Child & Unlock Your Child’s True & Limitless Potential. We conduct the best reading program in English & Malay as we acknowledge that reading opens up Unlimited Possibilities for your child. We are also proud to bring to you our Comprehensive Maths program which is unrivaled in its effectiveness and have been proven & time tested for more than 100 years all over the world. We offer the most comprehensive, proven & time tested Kindergarten Curriculum second to none. For details, please refer to our program page. listening, speaking, writing, reading & comprehension. We also offer the most effective reading Program in Bahasa Malaysia. We integrate the technological advancement of the 21st century into our teaching, tapping into students’ interests and strengthening their technical skills, all while providing enriching learning opportunities. We have multiracial teachers who are extra LOVING & CARING to care for all the needs of your children. We love, care and teach your children as though they are our own. Our content is second to none. Your child will learn to read, write and speak English in a fun and creative environment with our internationally recognized reading program – Oxford Phonics World. This is without doubt the Best Reading Program Ever! Our Suku Kata/Bacaan program (Bacalah Anakku) is the best “Cepat Membaca” program in the country. Our Mandarin program is taught 2 times per week and produce the fastest & best result. Learn and master mathematics with the most up to date and comprehensive Mathematics syllabus. Discover the adventure of Science and bring out the geniuses from those little minds. Acquire computer skills and be technologically savvy. Enjoy the Arts & Craft activities while learning to paint, colour and create. Learn Moral Values with our Moral or Agama classes. Create tunes, sing and dance during our music classes. Program Cepat Membaca yang Sangat berkesan dengan bacalah anakku. The best mandarin and most effective Mandarin Literacy Program Ever! Small group learning with individual attention. Well-trained and very experienced teachers. Termly detailed reports on the kid’s progress. Our learning programs is carefully designed based on extensive experience of our educators. Reading is a vital foundation for educational and life success, and it must start early! Every child should be able to read. With our dedication, your child can read. Come and join us at GMM Kindergarten at Taman Universiti, Skudai, Johor. Guaranteed to improve your grades in School. If you are living in and around the SKUDAI area in Johor, & you are looking for high quality, world class preschool / kindergarten / early childhood education, it used to be a real challenge until NOW…..
Young children develop at different pace, even at the same age, different children develops differently from others. The method/system/program we put in place must be able to nurture and enhance their development, not “slow down” or retard their development. To do this, a child needs to learn at his/her own pace. In the traditional classroom environment, it is very difficult to achieve. The traditional setting is meant for average students; the slow students will be left behind and the fast learners will be slowed down. Therefore, we developed a program & a system to nurture every child to reach his her full potential. Our program allows a child to learn at his or her own pace. Fast learners will need to slow down to “wait” for their classmate. This can demoralised a lot of them causing them to be bored and could cause more problems in the future. Slow learners will find it difficult to catch up and they will give up entirely..
After implementing the traditional education method for 6 years and observing with frustrations the impact of this system upon the 2 categories of students, our founder set out to develop a program to serve the needs of these students which benefits children of different abilities. Our program allows every child to learn at his /her own pace. This enables the child to reach his/her full potential. Yet, there are still many opportunities for students to learn & play in groups throughout the day. During the individual activity, the brighter child will be given more material and his/her ability/development will continue to be challenged so that he/she is always reaching out for more. The slower child will be allowed to take his/her own time to master the material relevant to his/her ability. For every topic, the students will learn in a group. Then the students will be given exercises to enhance their learning experience. The fast learners will get to do more while the slow learners can take their time. This way, every child will have an enjoyable experience and the fast learner can reach out for more, hence reaching their true potential. Combining this with the Best Reading Program from Oxford Phonics World, we create the BEST, WORLD CLASS, UNRIVALED and MOST OPTIMAL learning Method, Environment and Opportunity for every child. As a parent, we always want the best for our children, so INVEST WISELY. This is the best investment you could possibly make. Invest in your child’s future now. We are The Best Preschool In Skudai, Johor – NO. 1 | Unrivalled | World Class Early Childhood Education brought to you by GMM Kindergarten. The Best, No. 1, Unrivaled World Class Early Childhood Education is right here!